Who doesn’t love a deal? We have access to some great promo codes that we want to share with you! We will be adding and updating throughout the winter season so keep checking back. Please note that these offers are made available as part of an affiliate marketing program. It is at no cost to you. But, if you make a purchase by clicking through, a small commission might be offered to Kid Allergy Travel. If any commission is actually received, please know that this is only going towards the operating costs associated with running Kid Allergy Travel. We thank you for your support & hope access to some of these deals will help your pocketbook this season too! This promotional code is good for $20 off the Gluten Starter Kit or Peanut Starter Kit. Book a flight + hotel package of three nights or more at CHIC Punta Cana – All Exclusive™, and receive up to $300 in resort credit. 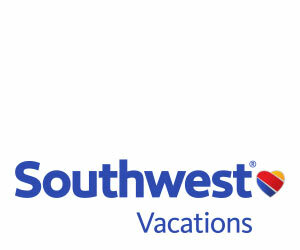 Southwest Airlines Vacations offers vacation packages to over 95 destinations with flight service available from every scheduled Southwest Airlines departure city. Additionally, we offer vacation packages to Mexico & The Caribbean. 7 Night Caribbean Cruises from $409 on MSC only at Cruisedirect.com! All In! Free Drinks & WiFi @Sea, Plus $199 Deposits! 3 Night Bahamas Cruises from $648 on Disney Cruise Line only at Cruisedirect.com! CruiseDirect Exclusive: Disney Autograph Book, Plus Up to $500 to Spend On Board! 7 Night Caribbean Cruises from $394 on Carnival only at Cruisedirect.com. Reduced Deposits & Free Upgrades, Plus Up to $1,000 to Spend On Board! 7 Night Europe Cruises from $337 on Costa only at Cruisedirect.com! Costa Exclusive Amenities including FREE Drinks!, Plus Massive Discounts!